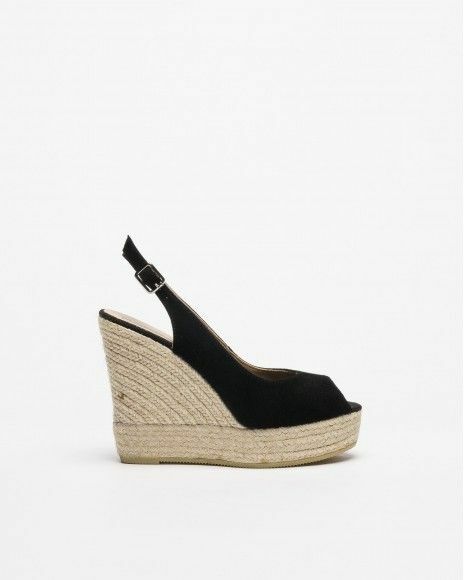 PROF 2066-1 sandals for women in black suede fabric and raffia. 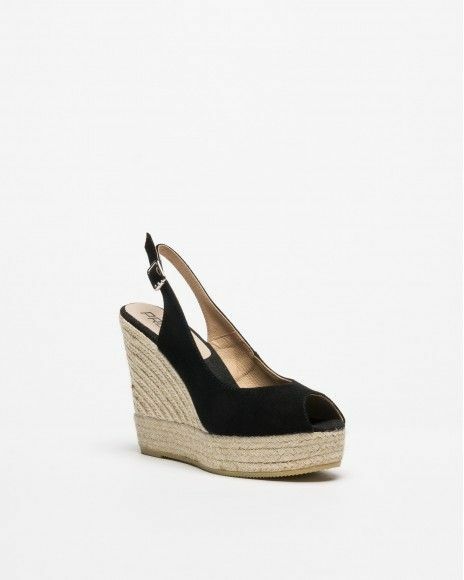 Faux crystals upper. Leather insole and synthetic leather lining. 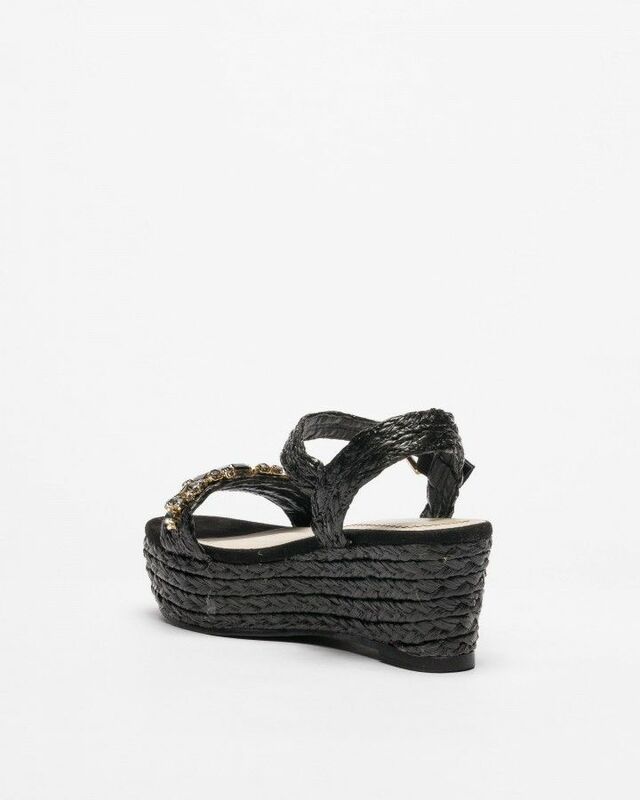 6,5 by 4 cm raffia covered platform and rubber outsole.